Basement finish (rec room + half bath) just added!! Dreaming of a 2-story finished top to bottom? 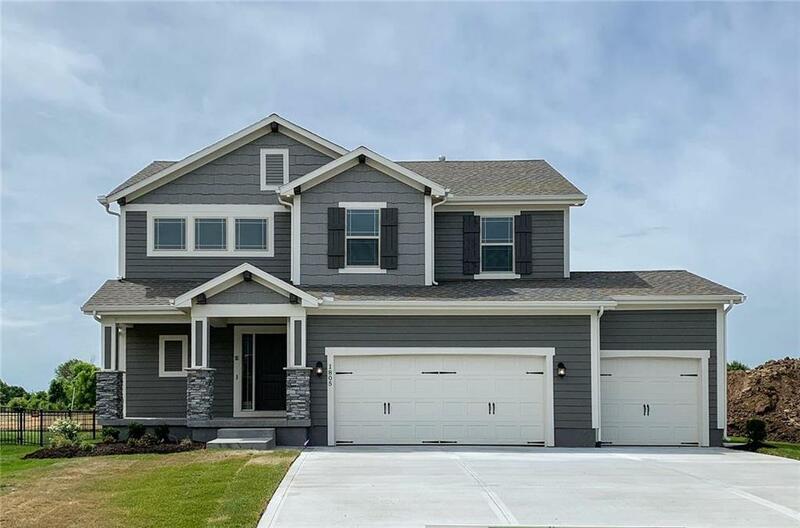 Beautiful white & grey home with decorator tile, quartz throughout, & favored craftsman exterior with a rocking chair porch! Beautiful wood flooring throughout the entire main level & loads of kitchen cabinetry accompanies a big walk-in pantry & drop zone/mud room. Lots of extras in this one, including irrigation system, upgraded bath fixtures, whole home humidifier, and stubbed for future wet bar in basement! Directions: GPS MAY NOT LOCATE, PLEASE USE DIRECTIONS: Highway 50 in Lee's Summit to Todd George Parkway exit. Left over highway and go North 1.8 miles on Todd George Parkway and turn right at NE Griffin Drive (the North Park Village entrance monument). Home is on the right side of the street.